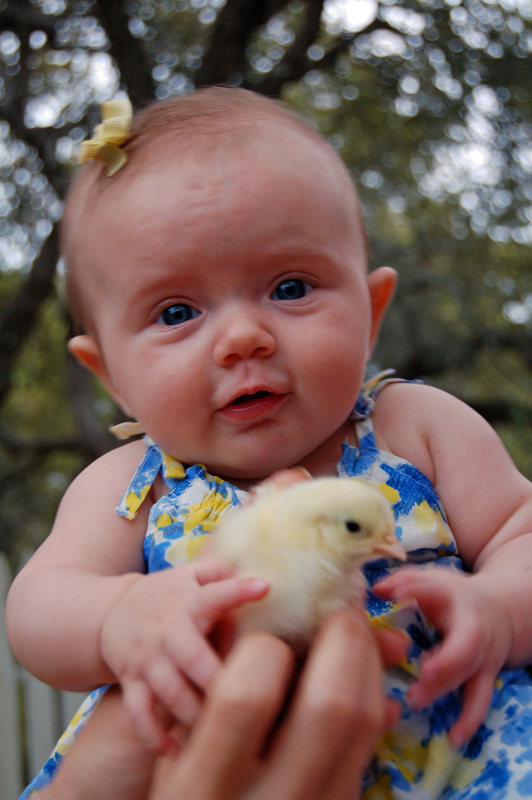 Friends, stop by Moore than Feed in Rockport to get your very own baby chicks. Moore than Feed now sells chicks that came straight from our farm. 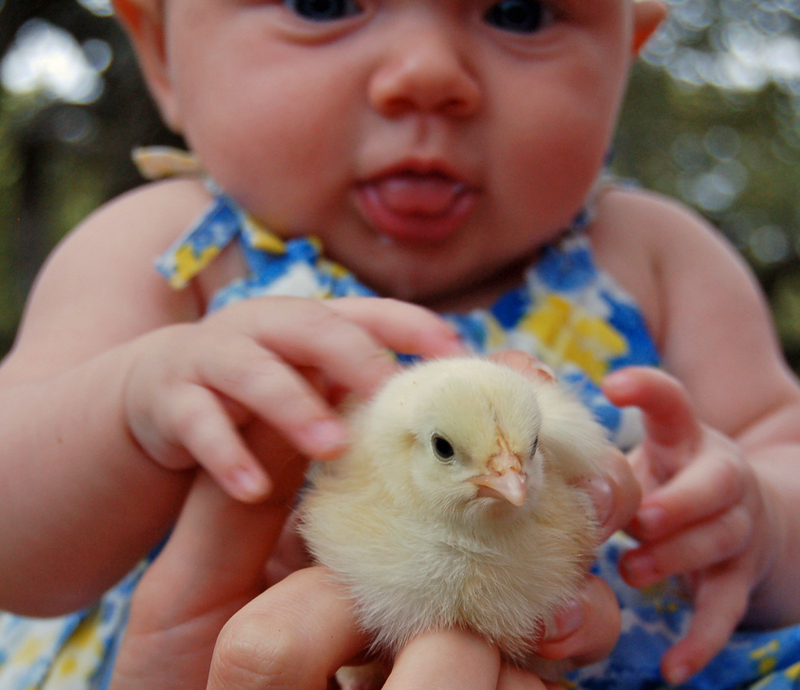 When your chicks grow up, their beautiful eggs will be blue, green, pink, white, light brown, or dark brown. We collected the eggs from our own laying hens, and our friends Fred and Linda Marshall, of M-Tree Quail Farm, incubated the eggs for us into healthy happy chicks. These chicks are the fourth or fifth generation of chickens born on our farm. We have been incubating our own eggs to develop laying hens that are more tolerant of the intense heat of a Rockport summer. We have also selected for the most beautiful roosters and hens, and every new generation is more beautiful than the last. The chicks at Moore than Feed are straight run and mixed. 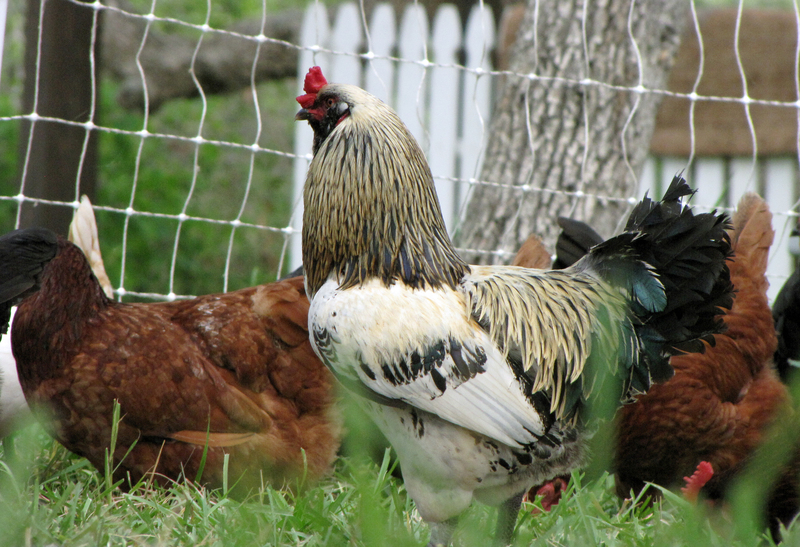 The breeds of chicks available include: barnevelders, cuckoo marans, ameraucanas, black langshans, black australorps, production reds, white leghorns, dominiques, and barred rocks. Melvin and his team will help you select your chicks. Melvin also offers everything you need to start your own backyard laying hens, from feeders to hen houses. Begin now with your own chicks, and soon you will enjoy your own beautiful eggs, freshly gathered, and your laying hens will be lovely to look at. My gosh. Those are some handsome chickens. And both of those little chicks are pretty cute, too! I long to have chickens and hens! Need a FENCE first. 2 1/2 acres surrounded by woods and deer, coyotes, wild hogs, etc. Maybe one day….. Thank you Jennifer! If you want to start with a few laying hens, you can borrow this very clever idea from my 7-year-old cousins: http://fourstringfarm.me/2013/06/25/a-trampoline-for-chickens/. The girls can still play on the trampoline even with the hens living underneath! All you really need to house chickens is a good roof over their head and enough fence to contain them. If you want to move them around every week, keep it light, like this trampoline idea. There are many ideas for converting old lightweight sheds, old playpens the kids never use, and similar concepts, into a home for chickens. But with your wild animals, you would definitely want the fence to work! I sure know how you feel! We have all the wild animals of the forest circling our chickens at night, but thanks to our electrified poultry netting, and our wonderful farm dog, they never get in! Thanks so much Jennifer, I am wishing you the very best today!